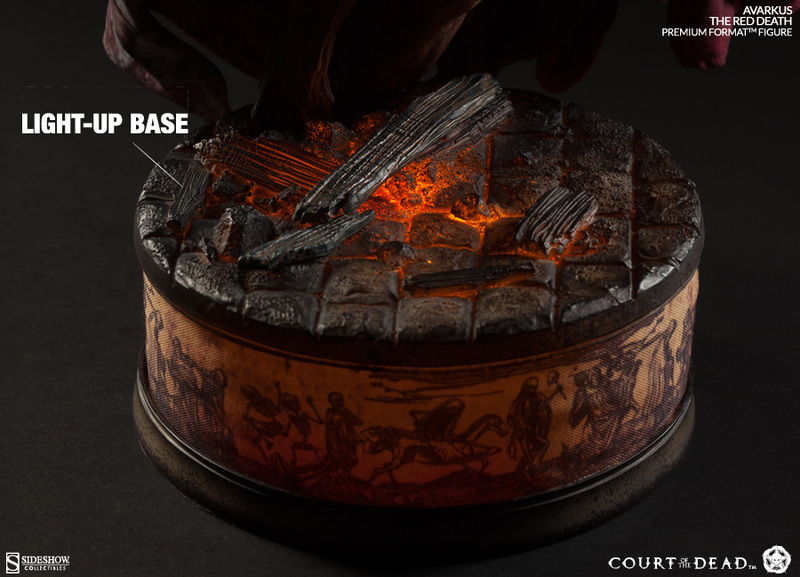 The Court of the Dead team is excited to share a production update for the Red Death Premium Format™ Figure! 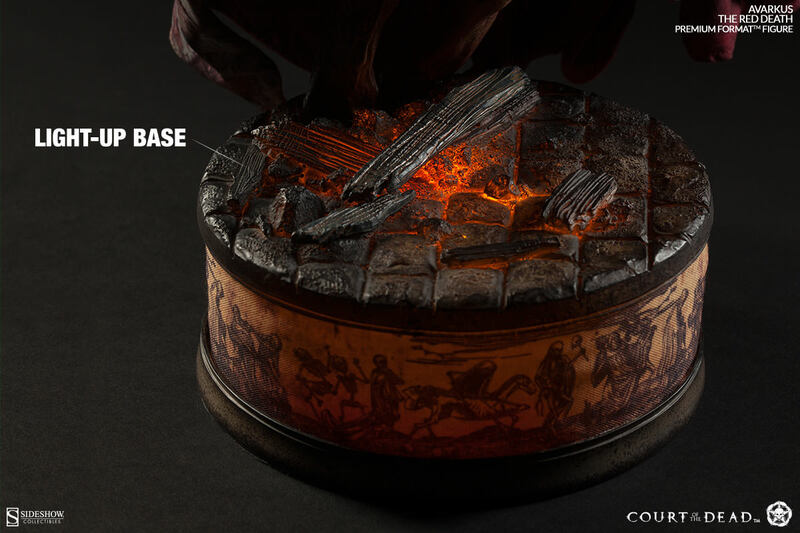 To perfectly set the mood for this wretched abomination, Avarkus’ themed base will now include an oscillating color-changing light feature to achieve a delightfully hellish “glowing embers” effect. Check it out in these new photos, and the video below to see it in action! 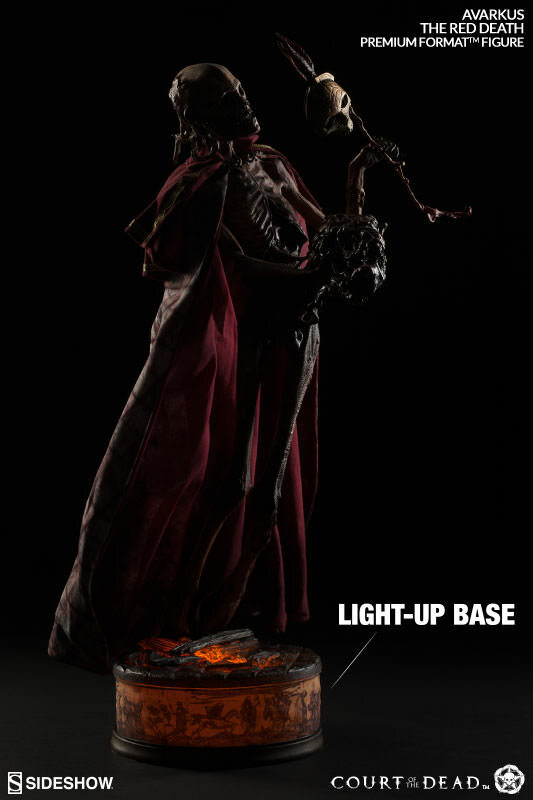 The Red Death Premium Format™ Figure is available for order now at Sideshow.com.